Our system doesn't recognize you as a member. If you are a student at one of the schools at this site and feel you should have access to the members area, please let us know here, and we can update your account to allow you access. please be ready to give name, instructors name and venue. 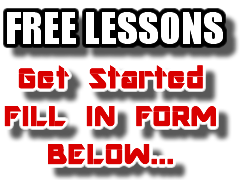 If you are not yet a student but would like to be, please download and print your free lesson coupon and call the nearest school to you to book your session.